DEFYING THE NAZIS: THE SHARPS’ WAR, a new documentary co-directed by Ken Burns and Artemis Joukowsky about a little-known but important mission by an American minister and his wife to rescue refugees and dissidents in Europe before and after the start of World War II, will air on September 20 at 9 pm (check local listings) on PBS. 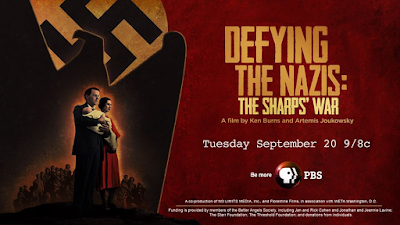 Join the conversation with #SharpsWarPBS. The 90-minute film tells the story of Waitstill and Martha Sharp, a Unitarian minister and his wife from Wellesley, Massachusetts, who left their children behind in the care of their parish and boldly committed to multiple life-threatening missions in Europe. The couple provided relief to embattled groups, raised money for refugee aid and smuggled Nazi targets, including children, out of the country. They are two of the five Americans who have been inducted by Yad Vashem, the Israeli Holocaust museum, as Righteous Among the Nations. 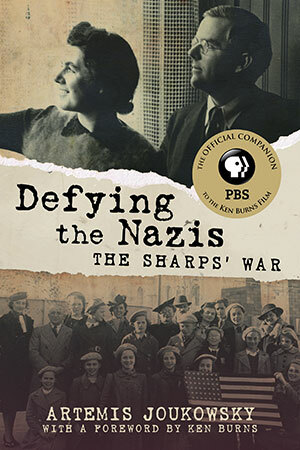 On Oct. 7, 2015 the United States Holocaust Memorial Museum presented “Two Who Defied the Nazis” as the 7th annual, Linda and Tony Rubin Lecture. The program, a timely reminder of what refugees endure, was held at the American Jewish University in Los Angeles. The Sharps' remarkable actions are documented in a collection of personal papers that have been donated to the Museum. The Museum’s Western Regional Director, Steve Klappholz and the Defying's director and filmmaker (and Sharp grandson) Artemis Joukowsky appeared. 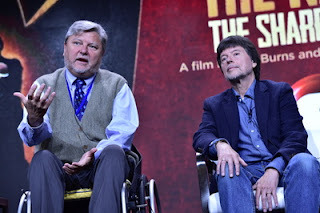 Mr. Klappholz (in a prepared statement) wrote, “We are fortunate to have such a high-caliber film produced by Ken Burns to learn about the heroics of these two individuals and to better understand their challenges and struggles during what was the beginning of such a bleak time in Europe.” JewTube.Info spoke with him at the event. Artemis Joukowsky, a film producer and co-founder of No Limits Media, is the grandson of Waitstill and Martha Sharp and has spent decades researching their story. He is the author of a companion book to the film, featuring a foreword by Ken Burns, published by Beacon Press. “Beyond the cloak-and-dagger suspense of my grandparents’ experience, it is a story of what America meant to refugees fleeing war-torn countries to build new lives. And it underscores what Waitstill would call ‘a collaborative effort’ of how a small but effective underground network of rescue workers saved as many lives as they could, and how important that lesson is for what is happening today,” said Mr. Joukowsky. 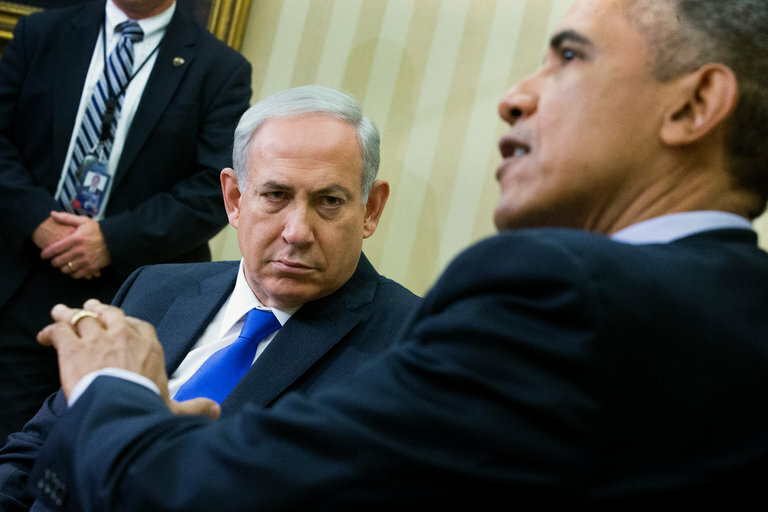 Obama limits all appropriation to be spent in America, blocks Israel from Congress. According to the governments in Jerusalem and Washington, this was a great week for the U.S.-Israel relationship. The two countries arrived at a "memorandum of understanding" to extend the U.S. subsidy of Israel's military budget until 2028. President Barack Obama, no fan of Israel's current leader, declared: "America's commitment to Israel's security is unshakable." It would be pleasant to believe this. It's not true though. America's commitment to Israel's security is quite shakable. Indeed, Obama has done much of the shaking. That reminder puts the new memorandum into perspective. For much of Obama's presidency, he said he would lift sanctions on Iran in exchange for Iran dismantling its nuclear infrastructure. This was a big part of how he dissuaded Israel's prime minister, Benjamin Netanyahu, from bombing Iran's nuclear facilities. But that's not the deal the U.S. and other nations struck with Iran. Obama ended up agreeing to legitimize and legalize Iran's nuclear infrastructure and to lift limits on production of nuclear fuel after 15 years. When Prime Minister Benjamin Netanyahu protested Obama's Iran bargain to Congress, the White House quietly encouraged fellow Democrats to boycott his speech. After all of this bad blood, in the last months of his administration, Obama has decided to sign an agreement with Israel that guarantees $3.8 billion per year between 2018 and 2028. On paper it seems generous. As Susan Rice, Obama's national security adviser, said Wednesday, this is the "single largest pledge of military assistance -- to any country -- in American history." The fine print tells a different story. The key word in Rice's statement is "pledge." Congress is the body that appropriates the annual aid budget. When Obama is long gone, it will be Congress that doles out the money for Israel to spend on U.S. military equipment. So one aspect of the aid deal should raise eyebrows: terms saying that Israel will stop making its case directly to Congress for military aid. Morris Amitay, a former executive director of the American Israel Public Affairs Committee, or Aipac, told me he had never before heard of a president asking a sovereign country, as part of an aid package negotiation, not to lobby Congress.